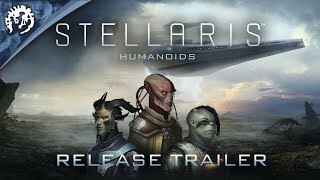 Stellaris: Humanoids Species Pack features a selection of new portraits and ship models for players who wish to forge their path among the stars as the irrepressible human race – or at least as a species that resembles humans to some degree. The pack includes new portraits, ship models, voiceover sets for VIR and remixed music tracks. Stellaris: Humanoids Species Pack features a selection of new portraits and ship models for players who wish to forge their path among the stars as the irrepressible human race – or at least as a species that resembles humans to some degree. Humanoids, the most-played phenotype, now gain more variety and will finally get their own unique ship class, inspired by the classics of Western science fiction. The pack will also include three music tracks, remixed by at least one human, and will also add three new voiceover sets for digital advisor VIR that will hopefully humanize him at last.